Don’t you love holiday parties? 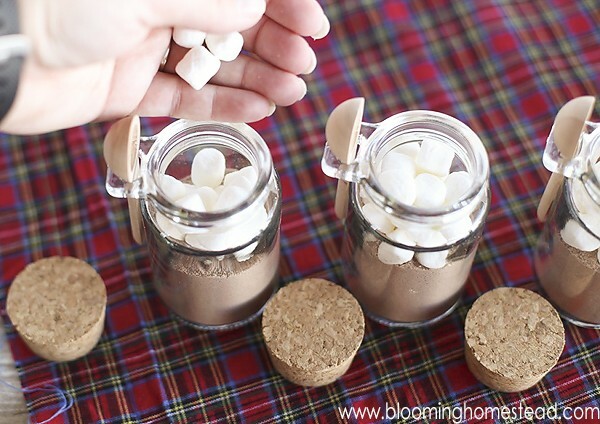 Marie from Blooming Homestead is sharing Mini Hot Cocoa Jars with Printable Tags for the Creative Girls Holiday Soiree! What a fantastic gift idea! 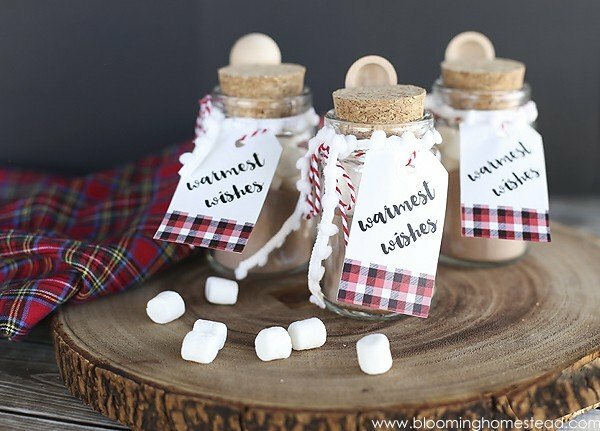 Hi friends, I am excited to be here at Today’s Creative Life sharing these fun Mini Hot Cocoa Jars with free printable gift tags. 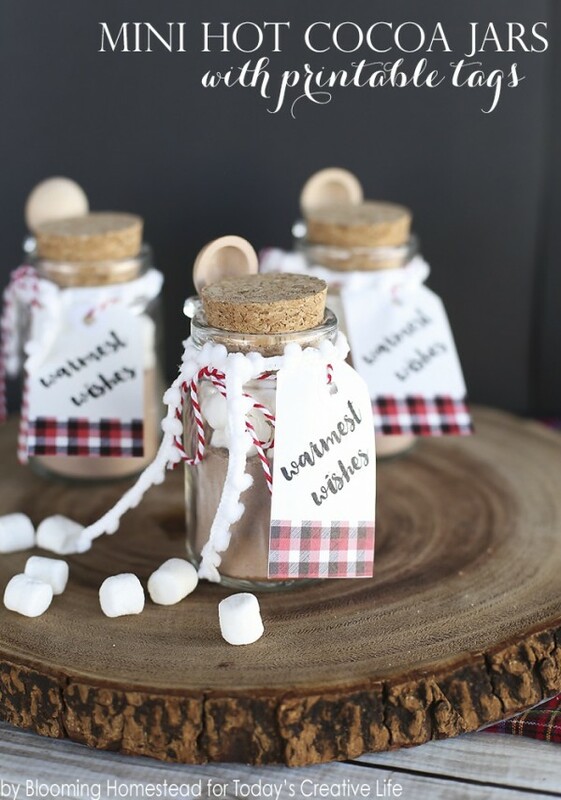 These cute jars are not only adorable gifts, but would also make fun holiday party favors as well. To start you’ll wash and dry your jars. Next you’ll fill them 2/3 full of hot cocoa mix. 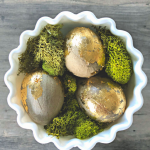 Next you’ll add in some mini marshmallows and any candies you’d like to include. 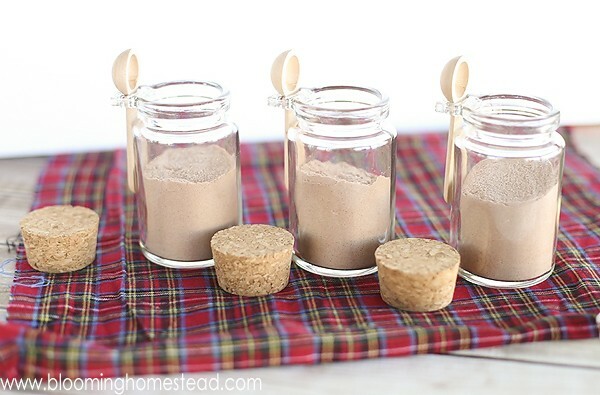 When you finish adding in the ingredients you’ll replace the cork. 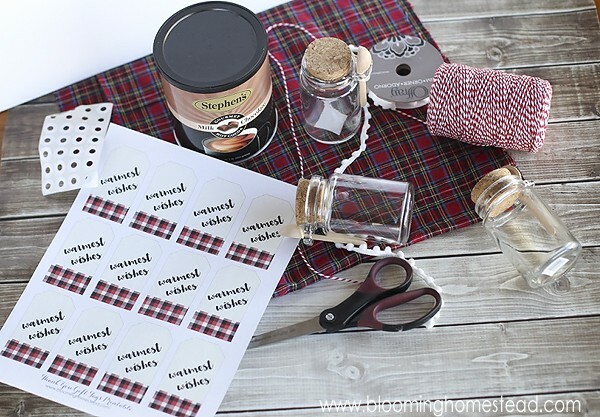 Now you’ll print your gift tags (get your free printable here) and cut them out. 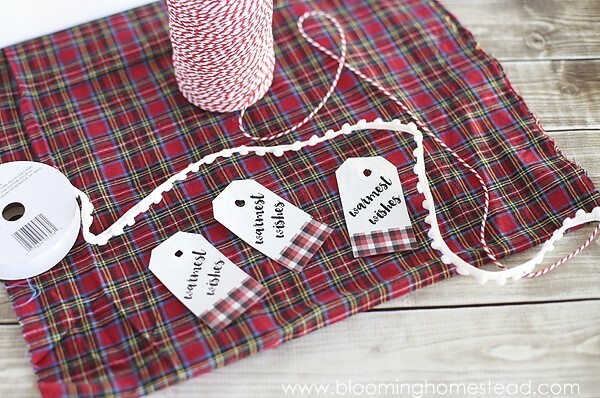 Tie them on with decorative ribbon and you are good to go! I just love simple and adorable gifts like this. 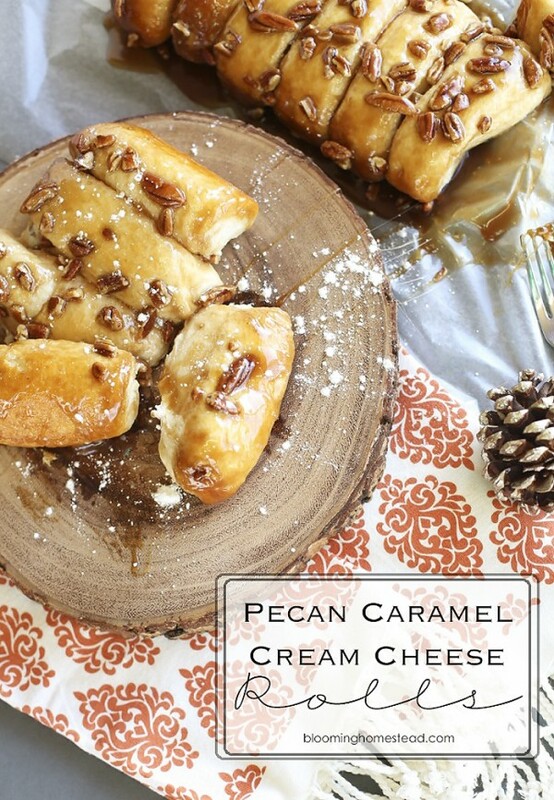 Pecan Caramel Cream Cheese | Click on the photo for the recipe. 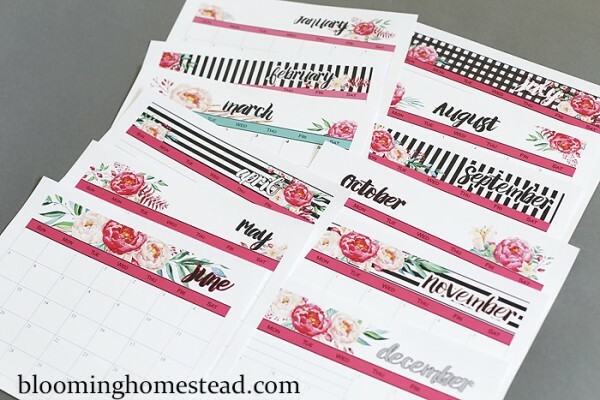 Come check out our latest projects at Blooming Homestead, you can also find us on pinterest and instagram.